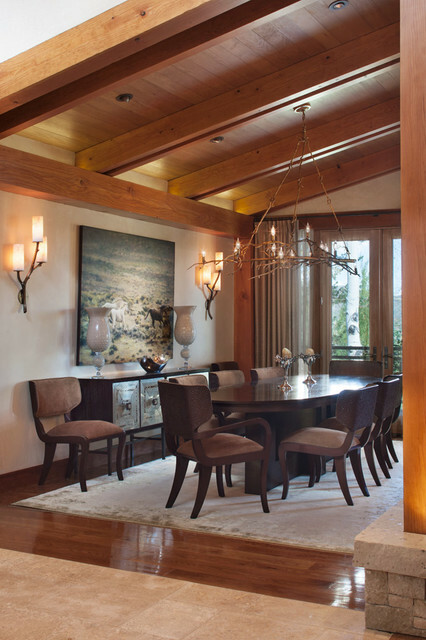 Colorado Ski House - Transitional - Dining Room - Philadelphia - by Patricia Gorman Associates, Inc.
THAT IS A VERY CONTEMPORARY TABLE AND CHAIRS FOR STEAMBOAT AND THERE IS NO ROOM FOR THE BUFFET. I AM ASSUMING IT IS THE ART YOU LIKED. IT IS IN A ROOM WITH NO COLOR.